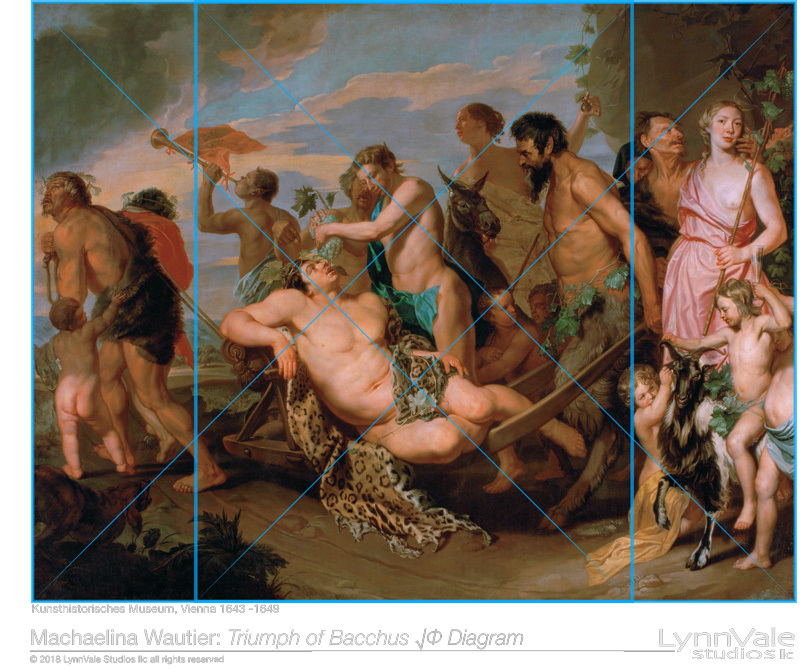 Michaelina Wautier: ‘Triumph of Bacchus’ & √ϕ. This is a bit premature because we have not yet diagramed the √ϕ or discussed Rabatment. We will in time. Michaelina is in the news and this is a good time to show her at her best. Stay tuned, we’ll get back to this.